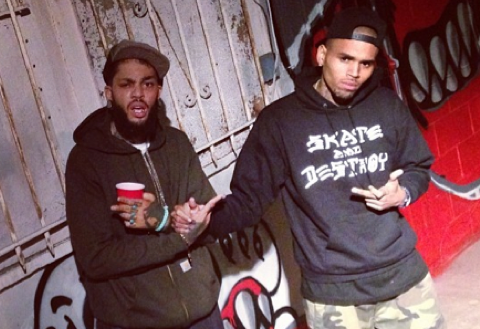 (Photos) Chris Brown And Travie Mccoy Create Art Together In Brooklyn! Looks like Chris Brown and Travie Mccoy have finally collaborated in the visual art world. The two got together to grafitti the walls of Brooklyn, NYC. Click below to see the photos from their night.